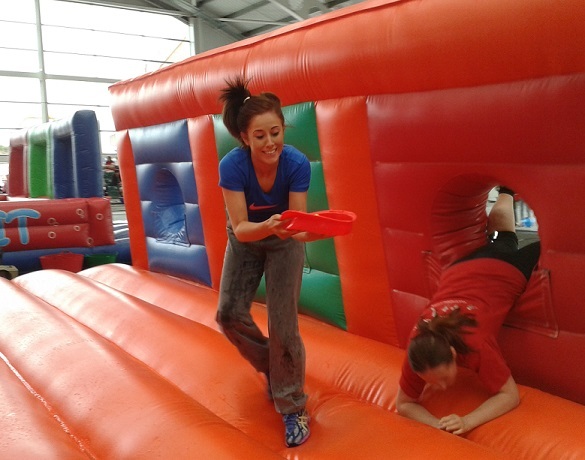 An “It’s A Knockout” isn’t just for the warmer summer months. We can also run the games for indoor events in the colder (or off season) months as well. We still use usual mix of inflatables and dressing up games, the only noticeable difference being that in most cases (but not all) we can’t offer the water or bubble games of outdoor days. 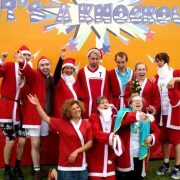 This means that you can use one of our It’s A Knockout games packages for an indoor charity event, team building activity day or Christmas party, come rain or shine or coldness during those colder months. Surprisingly, there are a variety of venues that are suitable for such days. Be it indoor sports venues, sports halls, leisure centres or even barns/warehouses! Some have even given us permission to use limited amounts of water meaning that we can still run our popular bubble-type games which everybody loves. 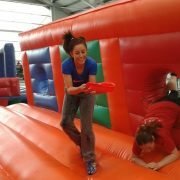 We are used to running our It’s A knockout games format on hard standing surfaces and in indoor venues so we have extra safety matting we can bring along to make sure any trips or falls have as less of an impact as possible. 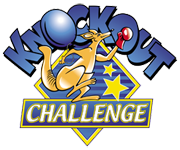 An indoor knockout games can be used for small charity events, schools, colleges, universities, team building and employee reward days, Autumn/Winter parties and yes, Christmas Parties. Please Contact Us if you need any help sourcing a venue for an indoor event, or if you need further details, PDF games lists or just have some questions about an indoor It’s A Knockout day. The games we use though for indoor events tend to be versions of our Mini Knockout or Bronze Show because of the size restraints and height of venues.